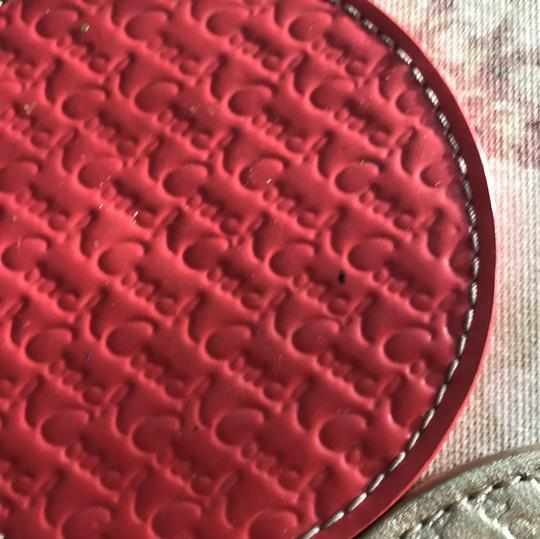 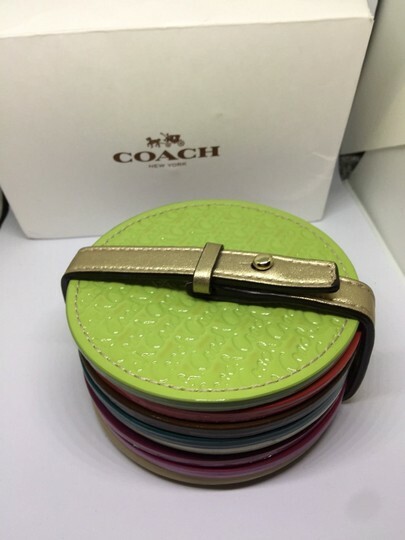 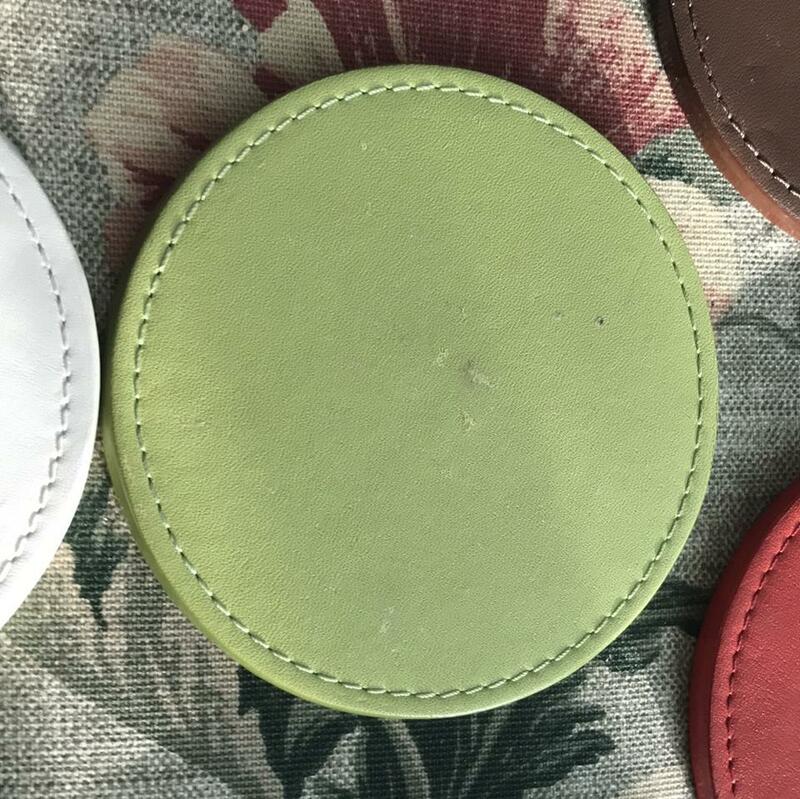 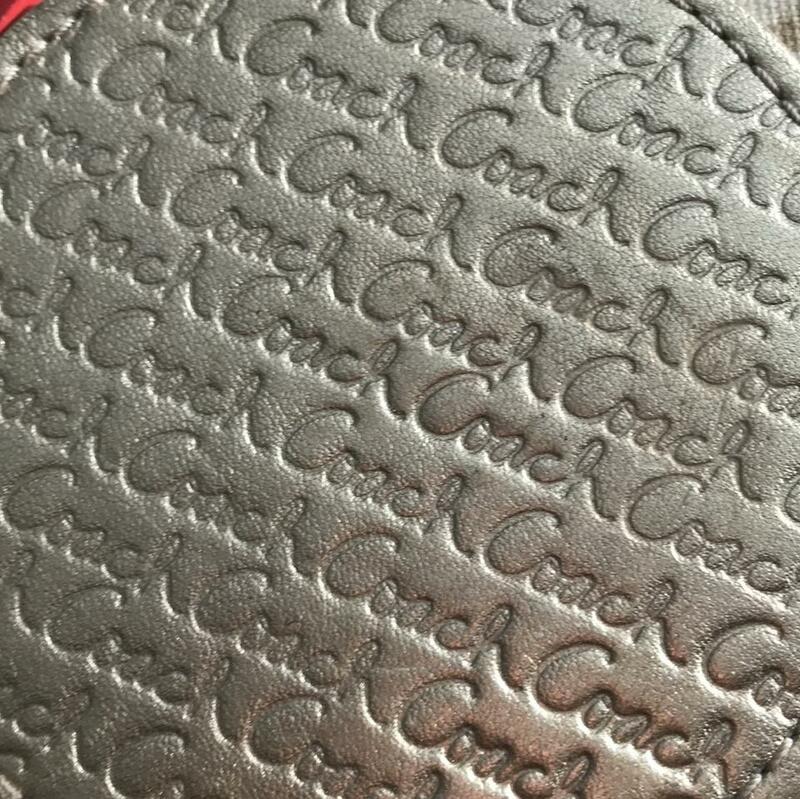 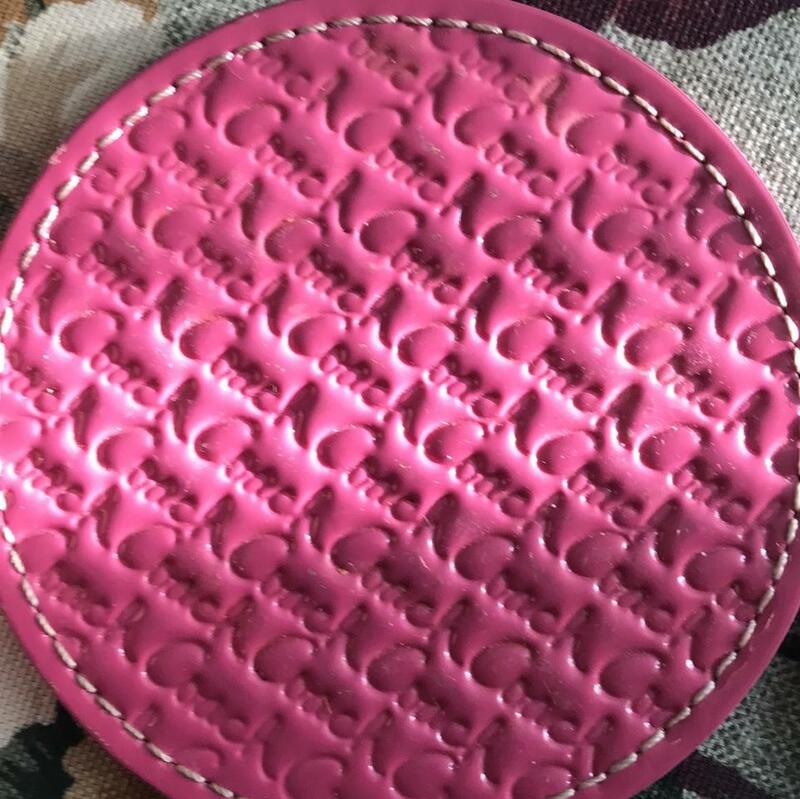 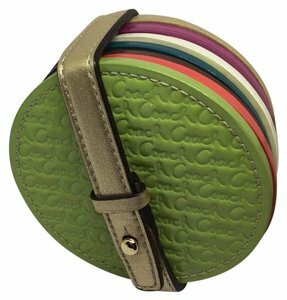 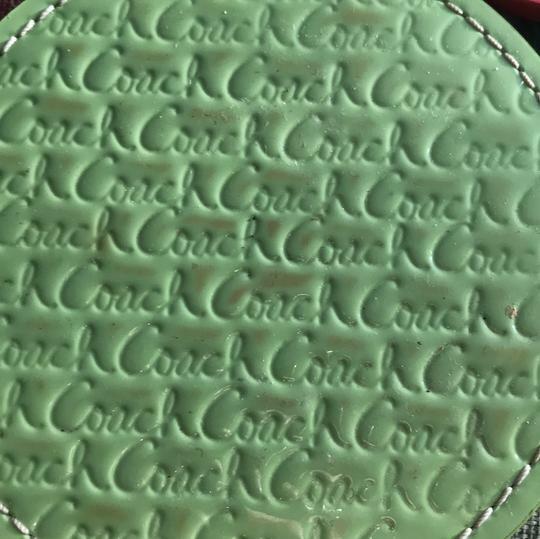 Authentic COACH LEGACY multi colored embossed leather matching coaster set. 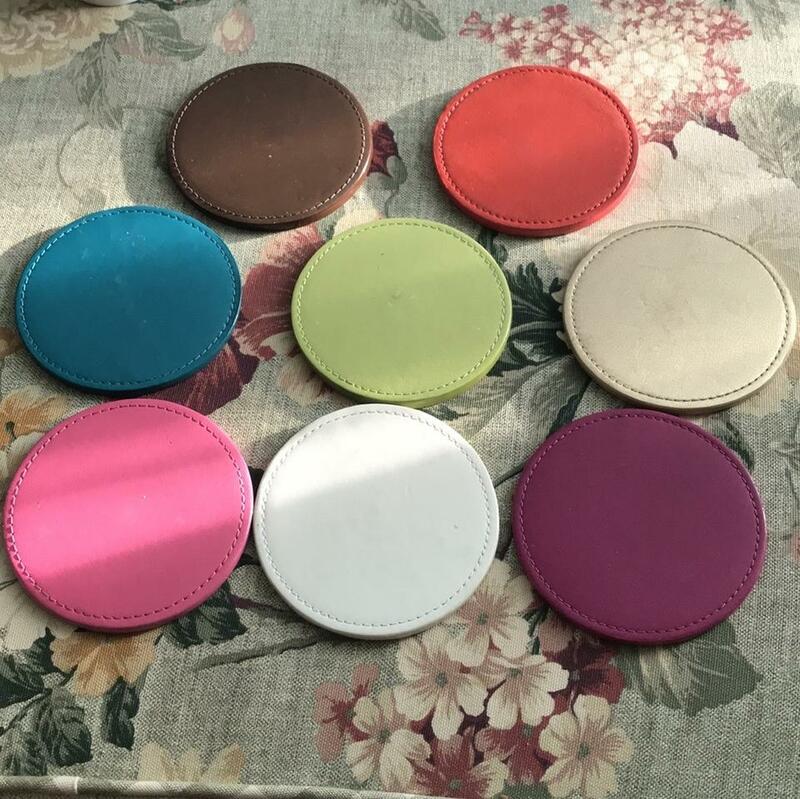 2 X 4" , 8 pieces multi colored leather coasters. 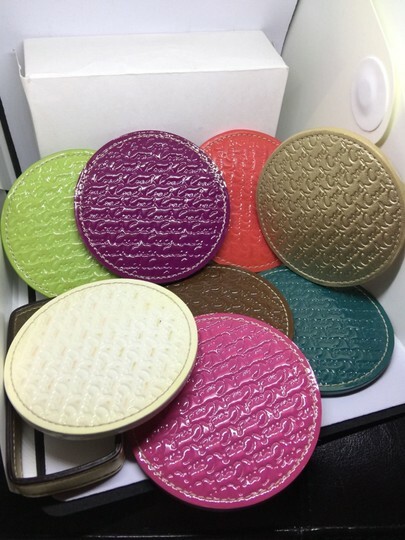 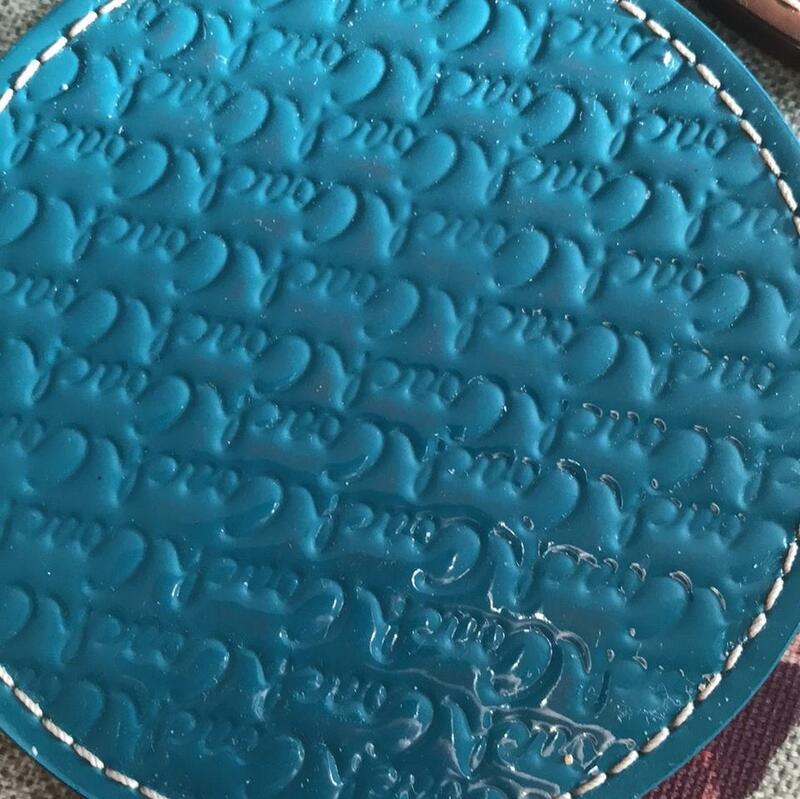 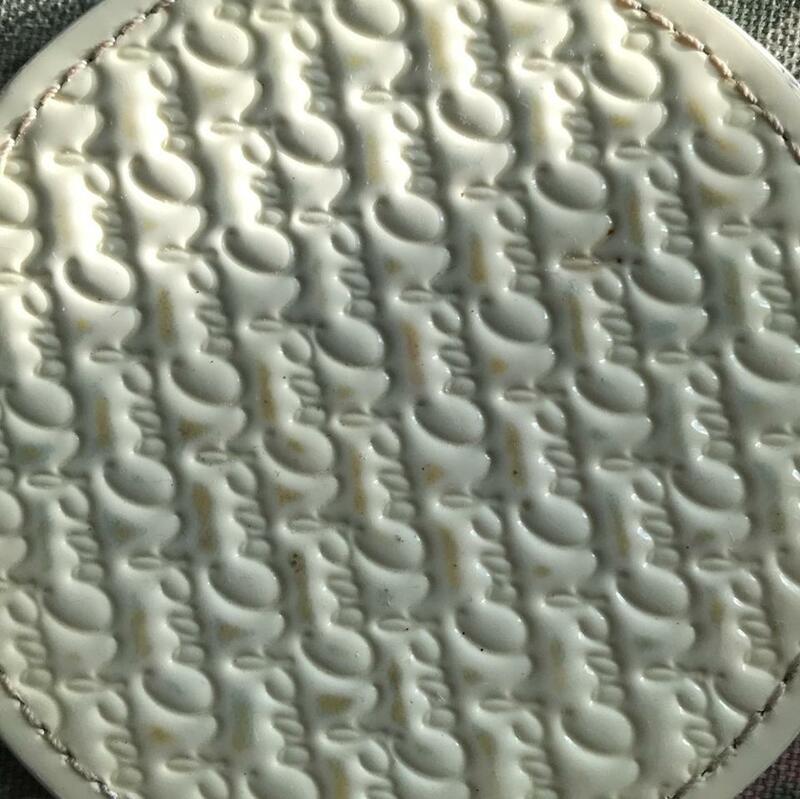 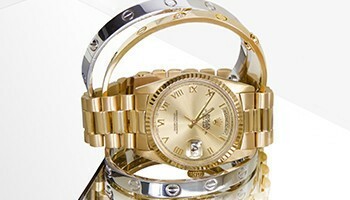 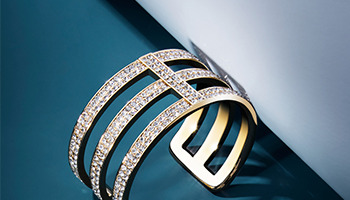 Each coaster is discolored from the last except the gold coaster and matching strap. Collectors item!